Price Just reduced by 10,000. Owner said sell! 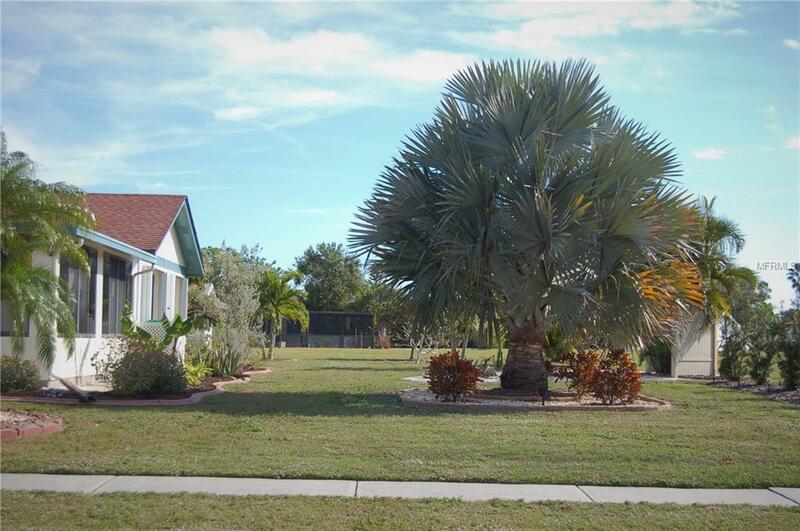 Only $189,900 and 15 minutes away the Gulf Beaches. 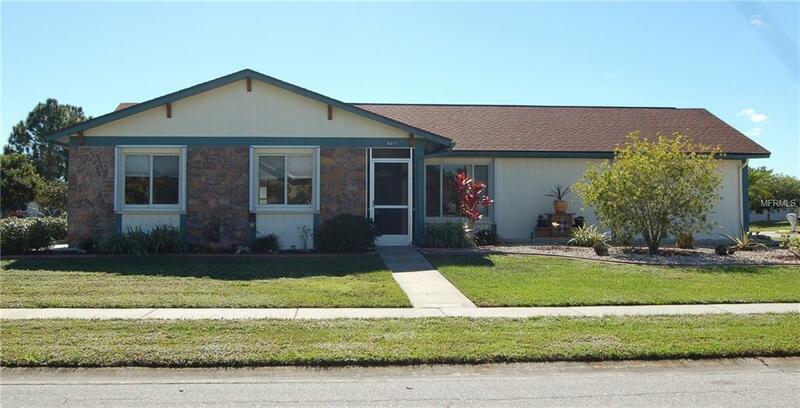 What a deal for this neat, clean, updated 3 bedrooms, 3 bathroom home. Total of 2424 sq. feet and 1511 of it is under central air. The 300 Sq. 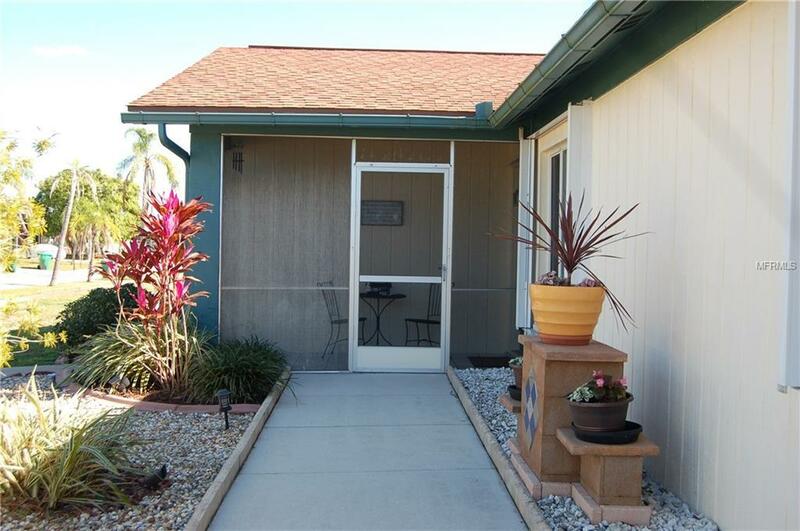 foot enclosed florida room/lanai has a large full bathroom with walk in shower. The home even has a formal living room and family room. The large corner property has been landscaped professionally. The unique cactus garden, all the Palms and fruit trees, the cement curbing. The kitchen has a full wall of floor to ceiling all wood cabinets and a breakfast bar. It even has shelves for sunglasses, a charging station for your phone and adjustable space for a larger refrigerator. These are all the special things you get when the owner is a designer. The 2 car oversized garage has many storage cabinets, a workshop and laundry area. The home has porcelain tile in the bedrooms, living room, hallway and inside baths. The Gardens of Gulf Cove features 4 lakes, underground utilities, sidewalks, street lights, county water and sewer. The low yearly fee of $332.75 includes 2 community pools (1 heated), tennis courts, shuffleboard, bocce play, basketball court, rec center, exercise equipment, pool tables and a friendly atmosphere. The owners of this home have taken pride and put tender loving care into this home. It will show when you make your appointment to see this unique home. Take a look today. It will not last at this new reduced price. Owners said sell!!! Additional Lease Restrictions Rentals Are Prohibited in 1st Year Of Ownership After Which Subject To Rental Restrictions. Renters Cannot Have Pets. Background Check Over 18 $75 Married Couple $75. Approval Letter Required Application $150. Amenities Additional Fees There is A Boat/Rv Storage Lot The Annual Fee is $90/Yr. You Are Allowed To Park Up To A 32' Boat/Rv On The Side Or Rear Yard Of Your House.